There was a bit of buzz yesterday surrounding The Revival as they allegedly/apparently asked for their release. Was told yesterday morning Revival quit on the spot, but the terminology was phrased in such a way I could hardly report that they'd formally asked for their release. Several wrestlers and employees confirmed that WWE didn't want to release them and hoped to fix things. If they do get their release I feel like they are a team that would be HUGE on the independent circuit. 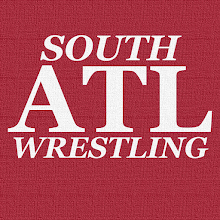 Sapp's article from yesterday on Fightful insinuates that they could be angling for a spot with All Elite Wrestling (AEW), and I think they'd be a tremendous asset there as well. Unlike some talent that is allegedly disgruntled and wanting out of WWE, I tend to think The Revival would really benefit from getting back out into the wild as opposed to hanging around WWE in their current spot. That said I would love to see WWE get behind them again and see if one more main roster push might get The Revival where they want to be. If that doesn't work out though I think they are absolutely the kind of guys that will project bigger on the independent scene/AEW/ROH than they do on the WWE main roster. So while in general I think the talking point that *this midcard act* should get out of WWE (looking at Tye Dillinger for example) is WAY overblown, I also think The Revival are the exact kind of act that would benefit from the change of scenery. This is in part due to their stature as they do seem small by main roster standards (Yes, I am aware of AJ Styles and Daniel Bryan), but also because of how I think the non-WWE world would embrace them. They could be a legitimate tag team draw on the independents (or as I said before a building block for an AEW tag division). Will be interesting to see what happens with this one.